Pine Mountain, GA (May 25, 2018) -Today marked the start of the 59th Nautique Masters Water Ski & Wakeboard Tournament® presented by GM Marine Engine Technology. The story of the first day of the event were the titles claimed during the 26th Junior Masters behind the all-new Ski Nautique and award winning Super Air Nautique G23 at Callaway Gardens in Pine Mountain, Georgia. The best junior waterski and wakeboard athletes took to beautiful Robin Lake to make their mark in history and take home the most coveted Junior titles in all of watersports. As the first official day of the Masters, the GM Marine Engine Technology powered Ski Nautique pulled Nautique team athlete Paige Rini (CAN) to a Junior Masters championships in both the Junior Women's Trick and Slalom disciplines. Paige scored a 8,020 behind the all-new Ski Nautique to win the Trick portion of the event, then turned around and got 2 @ 38-off to take the Slalom win. During the Junior Men's Trick division, it was Louis Duplan-Fribourg (FRA) taking the victory with 10,500 points, while Felipe Franco Belmont (PER) came in second place in 9,260. The Junior Men’s Slalom final saw Federico Jaramillo (COL) showcasing his talents and receiving a Junior Masters title after he ran 2 @ 39.5-off behind the completely redesigned Ski Nautique. In Junior Women’s Jump, the pull from the 2019 Ski Nautique saw Brooke Baldwin (USA) jump an incredible distance of 137 feet (41.7m) to win the 26th Junior Masters title. During the Junior Men’s Jump, it was Louis Duplan-Fribourg with a distance of 177 feet (53.8m) to win the Junior Men's Jump portion of the event. On the Junior Men front, Louis Duplan-Fribourg took the overall win after getting on the podium in 2 disciplines. His first-place in the Jump and Trick was enough to stake his claim as the 26th overall Junior Masters champion. The 5-time Wakeboard Boat of the Year in the Super Air Nautique G23 set up perfect wakes for the Junior Men’s Wakeboard riders, and after the smoke cleared it was Sam Brown (AUS) taking the Junior Masters victory. After laying down two insane passes, Sam found himself on top of the podium for the first time in history and stoked to stamp his name in history. For complete up-to-date scores of the 26th Junior Masters, please visit masterswaterski.com/standings/. An invitation to compete in the Masters is universally considered an acknowledgement of achievement for reaching the pinnacle in a given watersports discipline - only the world's most elite athletes compete at the Masters. To view the 2018 criteria please visit the Masters website. This tournament is sanctioned by IWWF/USA Water Ski and WWA. Watch all of 59th Masters action live on Saturday May 26th starting at 8:00AM EDT, please visit masterswaterski.com. Celebrating 93 years of excellence in the marine industry, Nautique is a subsidiary of Correct Craft and has been on the waters of the world with a passion for innovation since 1925. Nautique is known to push the envelope of possibility on the water, and our owners have come to expect nothing but the absolute best. The Ski Nautique has been reinvented as the lightest ski boat on the market, the G-Series has won numerous awards for wakeboard boat and wakesurf boat of the year while unlocking new possibilities in wakeboarding and wakesurfing, and our GS-Series has given families endless days on the water without compromise. Through our Nautique Cares initiatives we’re dedicated to not only making a difference on the water, but to people in need around the world. 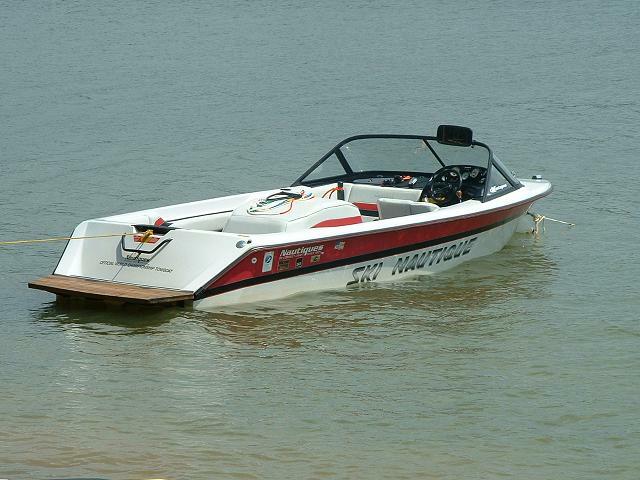 The world’s best ski boat, world’s best wake boat, and a company that cares. To learn more visit www.Nautique.com. Celebrating 93 years of excellence in the marine industry, Correct Craft is a Florida-based company with global operations. The Correct Craft family includes Nautique, Centurion, Supreme, Bass Cat, Yar-Craft, SeaArk, and Bryant boat companies, Pleasurecraft Engine Group, and Aktion Parks. For more information please visit www.correctcraft.com.